Hanley, made the appeal when he spoke to the told the Department of Information on October 12, 2016. “We have now been reliably informed that the Chamber of Industry and Commerce will be organising a shipment of clothing only for Haitian relief. If you live on St. Kitts, the items can be taken to the Island Hopper on Friday at 4 p.m. That is the deadline if you live on St. Kitts. “If you live in Nevis they must be brought to the Charlestown Pier by Thursday October 13, 2016 between the hours of two and three. A representative from the Red Cross would be there to assist you and give guidance in what we can do,” he said. However, Hanley stressed that the items of clothing and or shoes must be separated and appropriately labelled to state “men’s cloths”, “women’s cloths”, “children’s cloths” and “shoes”. They can be brought in barrels, boxes or in suitcases. 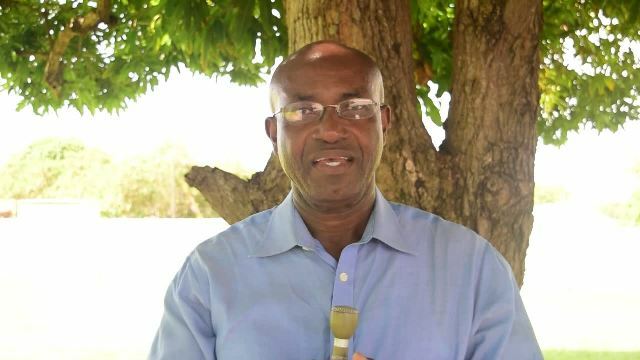 Meantime, in an earlier plea on Nevis Television, Hanley noted that the International Federation of Red Cross Societies (IFRC) had launched an emergency response operation. The proceeds, he explained, would be used to provide vital services including food, shelter, water and sanitation assistance. In that regard, the St. Kitts and Nevis Red Cross Society launched an appeal to the citizens and residents of St. Kitts and Nevis for cash contributions to aid the victims of the disaster. Contributions to the fund should be deposited to account #1281318 at the CIBC First Caribbean Bank at The Circus in Basseterre or at Main Street, Charlestown in Nevis. He said, other goods in kind are not being accepted at this time as these items would create a logistical nightmare in the absence of sorting facilities, storage and adequate transportation. However, the proceeds of the fund will be forwarded to the IFRC in collaboration with other Red Cross Appeals taking place simultaneously in many countries across the globe.